IG has a wild sister grouping, the Islington Wildlife Gardeners’ Group. There are around 25 of us, we (naturally) have no rules or funds, but we care very much about biodiversity in the borough. 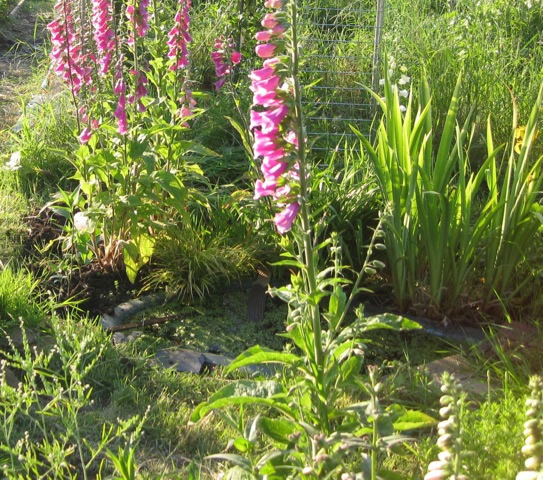 As individuals we are involved in hands-on activity on patches of land in Islington, we have wildlife-friendly gardens and allotments. As a group we visit wildlife locations. We also lobby on behalf of local wildlife sites as appropriate. Anybody interested in knowing more about us should contact Sue Lees: Susan@lees.org.uk. We welcome new wildlife enthusiasts. The Islington Wildlife Gardeners’ Group has recently made the first of two visits to London’s newest public open space and nature reserve, the Walthamstow Wetlands. This is a vast area of water, Thames Water’s ten still operational reservoirs, located between Blackhorse Road tube station and Tottenham Hale station, spread across 211 hectares. As the reservoirs have been in existence for many decades, they have accumulated wildlife, in particular migrating waterfowl and a vast heronry, and consequently the area as a whole is a Site of Special Scientific Interest (SSSI), and is part of the Lea Valley Special Protection Area, and a Ramsar designated site of international importance. The wildlife management aspects of the site is now undertaken by the London Wildlife Trust, and they were kind enough to provide our group with a guide, a young intern passionate about the birds. We were shown the new Swift Tower, which is the rebuilt chimney of the Engine House, with small openings for swifts and bats to use. We passed the island which hosts the grey herons, and it was a great thrill to see them so clearly through our guide’s powerful telescope. We also saw the cormorants, which also live in the heronry, and which are killing some of the trees with their acidic droppings, giving the LWT something of a dillemma. We saw swans, greylag geese, canada geese, tufted ducks, coots, and moorhens, and our guide showed us five species of gulls, great crested grebes, gadwalls. We were also lucky enough to see a grey wagtail. Around 450 tufted ducks come to the reservoirs to moult every year, contributing to the SSSI status. There was a cluster of birders trying to see a rare little bunting from Siberia, but it refused to come out for us. There are also reed buntings and cirl buntings in the Wetlands, but these were also invisible to us. Some of the £10million which has been spent in the Wetlands has gone on new reedbeds, which will hopefully attract more reed-dwelling birds, including the rare and iconic booming bittern. The Wetlands are still a work in progress, with other wildlife-enhancing projects in the pipeline. The LWT is planning work on the stream which abuts the Walthamstow Marshes to the South to lure in endangered water voles from next door, and new bird hides are to be put up. As the Great White Egret establishes UK footholds in Somerset and Norfolk, maybe these tremendous birds will be tempted to sample the waters of Walthamstow and the anglers’ fish. After our guided walk, which was around the exposed grassy reservoir paths, some of us walked through reservoirs edged with trees and golden gorse, flowering even in February – it was so lovely. We are looking forward to our next visit, when the LWT are going to talk to us about the renovation of the period buildings on the site, and the work to enhance the area for wildlife. We are very grateful to the LWT for both these guided walks. 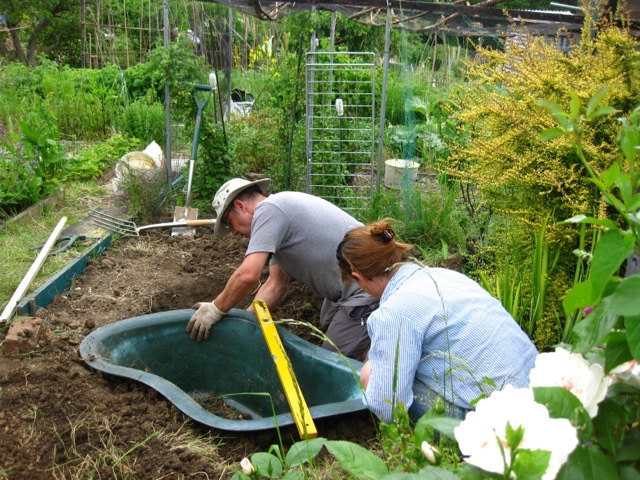 The Wildlife Gardeners Group installing a Wildlife Pond.